Today, more than ever before, Earth Observation (EO) has become an essential part of our daily lives. The Earth is constantly monitored, analyzed and measured by government agencies, defense forces and the private sector. From weather forecasting to disaster control and oil & gas exploration, EO data is vital to a host of applications that profoundly affect our lives. Low Earth Orbit (LEO) and Medium Earth Orbit (MEO) satellites are constantly encircling the globe, providing optical and radar imaging for analysis of our planet. Similar to spy satellites, EO satellites are specifically designed for global coverage, but are intended for non-military purposes, such as environmental monitoring, meteorology, cartography, etc. Many EO satellites carry instrumentation whose functionality is suited for operation at low altitudes of between 450 and 800 km. Nearly global coverage is achieved in polar orbits, where a typical LEO satellite circles the planet every 100 minutes or so. For example, above is a list of NASA satellites and their primary tasks, currently supported by the Alaska Satellite Facility (ASF). 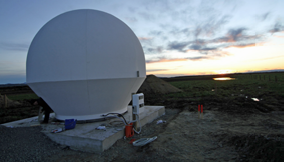 The ASF is part of the NASA-managed Near Earth Network (NEN) system of satellite-tracking ground stations around the world. NASA’s NEN provides telemetry, commanding, ground-based tracking, data and communications services to a wide range of customers. NEN provides these services to a customer base that is both U.S. and international, governmental and commercial, NASA (Earth Science, Space Science and Human Explorations missions) and non-NASA. Many believe that most satellites can be found in LEO as it is less expensive to get them there — while this end result is true, there are two additional, compelling reasons. The first is Kepler’s Law, which states that an orbit’s period is determined by its altitude. In other words, the closer the orbit, the more frequent the updates. The second is optical physics, in the sense that the closer the satellite is to the Earth’s surface, the better the imaging. Mind you, there is one serious drawback with LEO. 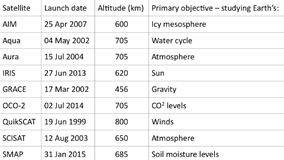 The lower the orbit, the greater the atmospheric drag. To keep those satellites in orbit, each one requires an engine and fuel. Hence, the somewhat conflicting trend of producing smaller and smaller satellites of bigger and bigger mass. More on that issue in the next section. Small satellites, or smallsats, are of low mass and size, usually under 500 kg. The key reasons for the development of smallsats are to reduce the high cost of satellite construction and launch vehicles and to increase efficiency in certain fields. For instance, a network of miniature satellites, especially in large numbers, is proving to be more useful than fewer, larger ones for purposes of scientific data gathering and for use as signal relays. The technical challenges associated with smallsat construction — such as lack of sufficient power storage or room for a propulsion system — are being overcome with ongoing, innovative solutions. As mentioned previously, the key rationale for miniaturizing satellites is to reduce their cost: heavier satellites require larger rockets with greater thrust and higher price tags. In comparison, smaller, lighter satellites require smaller, less expensive launch vehicles and can sometimes be launched in multiples — or ‘piggybacked — by taking advantage of excess capacity on larger rockets. Finally, miniaturized satellites allow for cheaper designs and a simple path to mass production. Smallsats are typically launched into orbit by cost-effectively hitchhiking them onto rockets that are carrying larger payloads. According to Northern Sky Research (NSR), approximately 80 percent of all smallsats launched between 2011 and 2015 had a mass of less than 10 kg. However, by 2021, NSR predicts that smallsats of more than 10 kg will account for 45 percent of the market. This trend can be explained by the simple fact that the cost of building larger smallsats been dramatically reduced. For example, just a few years ago, the cost of specialized components for a 20 kg smallsat might have been $2.5 million — today, all the necessary parts can be obtained for around $25,000. The smaller the satellite, the less the deliverable performance. To benefit from the data captured by smallsats, a quick and reliable communications link must be established between the fast-moving satellites and the Earth. Communication can only be established when there is line of sight between the satellite and the ground station. For LEO satellites, this communication “time window” typically lasts only a few minutes, so the goal is to squeeze the most data of the small spacecraft. Important decisions depend on the reliability of such communications links and there are no second chances. That is why high-performance, high-accuracy ground stations are needed for tracking LEO satellites. The ideal ground station should be economical and scalable to match the budget of any satellite-based remote sensing project and should further support a range of antenna sizes as well as deliver maximum performance with a minimum footprint. 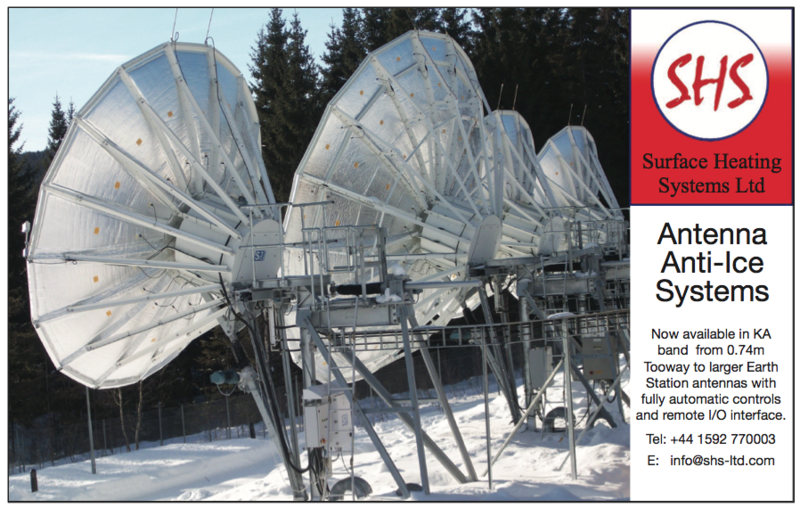 End-to-end ground station solutions should fully integrate into existing infrastructures and be capable of scaling from rooftop high-performance tracking antennas, used by GIS experts, to a complete turnkey ground station solution that includes high data-rate receivers, control software and more. Imaging satellites are getting smaller and more sophisticated, thanks to the rapidly growing field of optical technology, with smaller and better cameras being developed and deployed all the time. What was once an almost exclusively military domain is rapidly being overtaken by research and commercial ventures. Today, although 60 percent of smallsats are defense-related, that market share is dropping fast due to quicker and cheaper solutions. 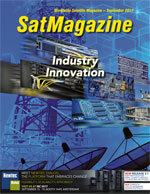 These days, smallsats are being launched at an unprecedented pace. For example, while today a well-known space launch provider sends up a payload of smallsats every two weeks, that company projects that by next year, that rate will be every week — by the following year, every day. Just as satellites are diminishing in size, so are ground-station antennas. 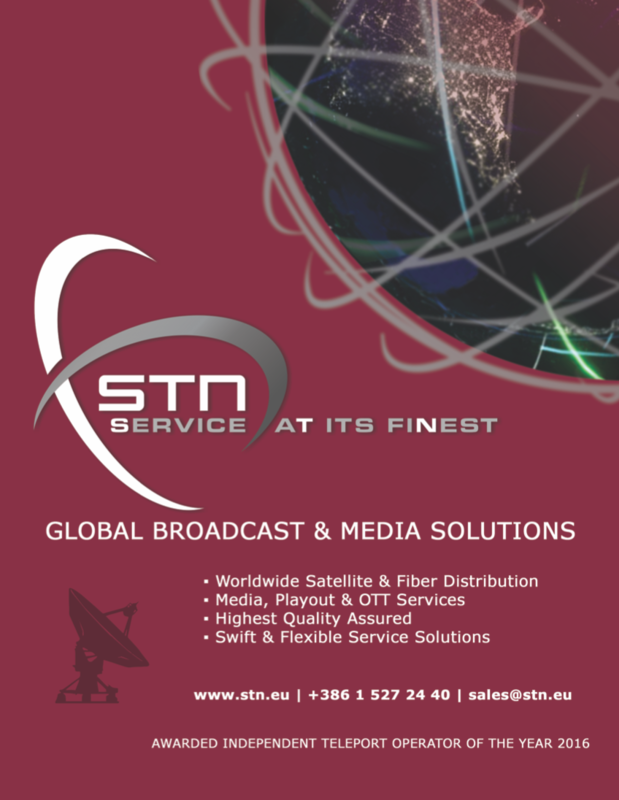 Where one EU operator used to use 7 to 13 meter antennas for smallsat tracking, two 5.5 meter antennas are now being used. 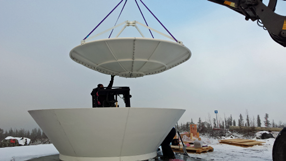 The images in this article show the installation of a smallsat tracking ground station in a polar environment. The photos are courtesy of Orbit Communications Systems, Ltd.
Stav Gizunterman is the Vice President of R&D at Orbit Communications Systems Ltd. He was appointed to this position in 2017, after holding senior management positions in R&D and Product Marketing at the company since 2012. Prior to joining Orbit, he served in a variety of engineering roles at Elbit Systems, a global solution provider focused on the defense, homeland security and commercial aviation markets.